Enacted without the governor's signature, the law designed to support Maine's farms and fisheries says that the state must purchase 20 percent of its food and food products locally by 2025. BATH — One of the few bills spared Gov. Paul LePage’s veto pen in the recent legislative session will require state institutions to purchase 20 percent of their food and food products from local producers by 2025. The program applies to all state institutions except local schools. It became law on July 4, after the governor failed to sign it or veto it. Vitelli said she was inspired to submit the bill by farmers at her local farmers’ market, who told her they needed more people buying their products. 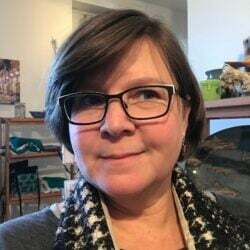 Robin Chase of Chase Farm and Bakery is the market manager for the Bath Farmers’ Market, where many local food producers gather to sell their produce. Although unlikely to benefit from the new program since she runs a bakery, Chase was optimistic that it would help other local producers. Chase added that local producers are already “doing everything that we can as a market to incorporate food into the local area.” That includes making locally produced fruits and vegetables accessible to Supplemental Nutrition Assistance Program recipients at the Bath Farmers’ Market. “Buying local is huge,” Chase said. The University of Maine System, which would be affected by the legislation, announced last year that it already had achieved its goal of reaching 20 percent locally sourced food by 2020. “We’ve worked for 150 years to support Maine’s agriculture producers (and) Maine fishermen, and we wanted to be a better customer and a better partner of the Maine food economy,” said Dan Demeritt, UMaine’s executive director of public affairs. In 2017, 23 percent of the food used by the system was locally sourced, with projected spending of around $1.5 million on local foods. The new law will be implemented by the Department of Agriculture, Conservation and Forestry, which will develop guidelines to encourage local food purchases while minimizing costs. The law also requires the department to step up education efforts about locally produced foods and make it easier for individuals to use SNAP benefits to purchase local food products. The project will start later this year and go through a rule-making process that will be presented to the Legislature before being promoted throughout Maine, said John Bott, the department’s communications director. Though the department originally testified against the program – claiming that it would be an administrative and financial burden – Bott noted that the legislation was a good fit for the work the department already does in marketing and promoting Maine food products.